Dr. Nitin Goyal is widely regarded as a leading expert in the field of hip and knee replacement surgery in Northern Virginia. His advanced surgical training and focused approach qualify him as one of the top hip and knee replacement surgeons in the Washington D.C. area. The anterior approach to hip replacement, also known as minimally invasive hip replacement surgery or the tissue-sparing approach, provides considerable advantages over other methods. Dr. Goyal is a specialist in this highly sought-after approach. 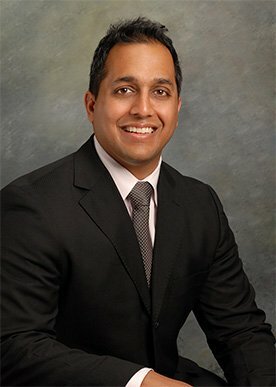 As a leading D.C. orthopedic surgeon Dr. Goyal is fluent in techniques for treatment of knee conditions. Whether you require a total or partial knee replacement or are simply seeking nonsurgical solutions, Dr. Goyal can assist you to find the relief you seek. As a leader in joint replacement surgery, Dr. Goyal has been asked to contribute to major orthopaedic journals, as well as present at national meetings and co-author book chapters. He is a co-editor of two textbooks on the topic of joint replacement and continues to conduct research to advance his field. Dr. Goyal specializes in the anterior hip replacement. Also called a tissue-sparing approach, this procedure provides many advantages over traditional methods such as shorter recovery and increased mobility. 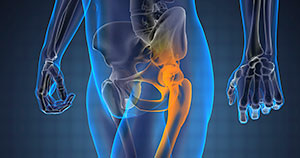 Some joint disorders may require knee replacement. Washington DC orthopedic surgeon, Dr. Goyal is highly trained and experienced in all methods of replacement, including the partial knee replacement. The knee is one of the most complex joints in the human body. 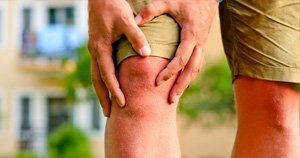 For those knee disorders that require a total knee replacement, Dr. Goyal has the specialized knowledge and experience crucial to a successful outcome. Dr. Goyal was wonderful. He fixed my painful hip. I was at home the same day and back at work in two weeks. He did this new Direct anterior approach to hip replacement. He is a miracle worker. I am so thankful I found him. I found Dr. Goyal to be well credentialed as well as having an excellent bedside manner. He explained the procedure and answered all my questions. I am just sorry that I waited so long to have the procedure done. From the moment we met Dr. Goyal, my wife and I were so impressed. He came in with a smile and first got to know who we were and where we were from. Doctor Nitin Goyal accepted the challenge of treating my husband’s chronic knee problem and saved his life. Thanks to his competence as a surgeon, my husband now has a proper knee joint so he can walk, and he has recovered his health. I had disabling pain in my hip, and Dr. Nitin Goyal took care of me. He's a superb doctor and is the only one who took the time to listen to me, answer all of my questions and make sure I felt comfortable. I am so happy I chose him to do my surgery. Nitin Goyal is an excellent orthopedic surgeon and I would recommend him highly. Dr. Nitin Goyal is a leading board-certified orthopedic surgeon specializing in handling conditions of the hip and knee in Washington DC, Northern Virginia and surrounding communities. While other orthopedic surgeons may address the entire body, Dr. Goyal is a dedicated specialist in surgical treatment of the hip and knee, giving him absolute expertise in his field of practice. He believes in cultivating a strong doctor-patient relationship, as well as total adherence to surgical principles, as these qualities result in the best possible outcome. His numerous happy patients will gladly tell you that he may just be the best orthopedic surgeon Washington DC has to offer. After receiving his medical degree at Jefferson Medical College in Philadelphia, Dr. Goyal continued his medical education with a residency in orthopaedic surgery at the prestigious Rothman Institute, where he earned the Everett J. Gordon award as Chief Orthopaedic Resident for his display of “the most outstanding clinical and surgical achievement.” He is a member of the American Association of Hip & Knee Surgeons as well as the American Academy of Orthopaedic Surgery. 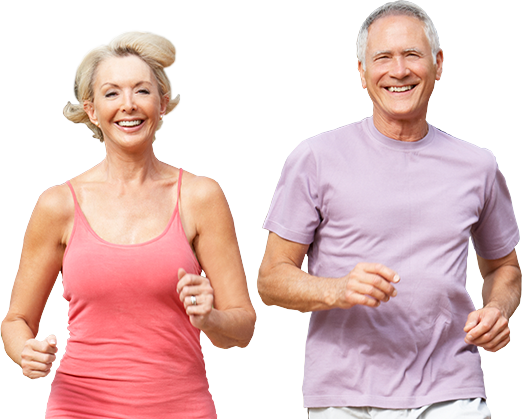 Traditional hip replacement surgery has long utilized an incision made in the rear, or posterior, portion of the hip. This requires cutting through many muscles. Following traditional hip replacement surgery methods, weakening muscles and damage to the capsule around the back of the hip increase the risk of dislocation. The anterior approach to hip replacement—also called a minimally invasive, tissue-sparing approach—contains many advantages not seen in the posterior approach. The anterior approach utilizes an incision made in the front of the thigh. Due to the anatomy of the leg, this placement allows the surgeon to work between the muscles rather than cut through them. In general, this produces less pain, a shortened recovery and improved motion in the hip because the muscles do not lose their strength during the surgery. Dr. Goyal is very pleased to provide the anterior approach and is constantly striving to provide the very best hip replacement Washington DC and Northern Virginia have available. While the anterior approach to hip replacement is more advantageous to the patient, it is significantly more complex. In any type of hip replacement, the skill of the doctor is the most important factor, but this is even truer of the anterior approach. It is important to see a doctor who can perform competently. 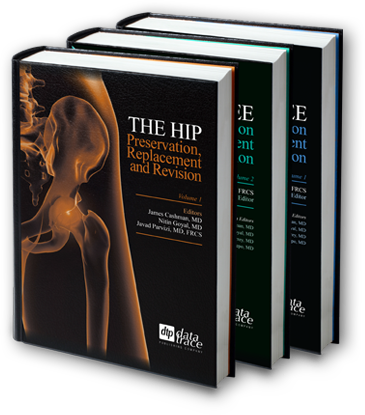 Call our office to find out more about Dr. Goyal’s proficiency in the anterior approach to hip replacement in his Washington DC practice. The knee is one of the largest and most complex joints in the body. It is capable of carrying a very heavy load while remaining mobile and active. The smooth movement of this joint is possible through articular cartilage, which rests between the bones. This articular cartilage is prone to various forms of arthritis and conditions that prevent it from doing its job. When each of these becomes too severe, the cartilage in the knee must be replaced with artificial material to bear the friction. This procedure can replace all the cartilage in the knee, known as a total knee replacement. It can also replace only part of the cartilage when only part of it is damaged. This is a partial knee replacement. When it comes to knee replacement, it is often not enough to have a general surgeon who performs only several per year. This is a procedure for which you need a specialist, someone who has dedicated his career to joint replacement surgery. Dr. Goyal is a specialist with the ability to navigate through the peculiarities of the knee to achieve the best possible result. When it comes to the best knee replacement Washington DC has available, Dr. Goyal may just be it. 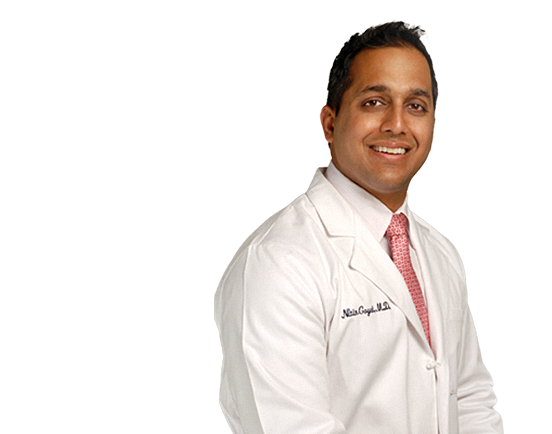 As a leader in effective joint replacement, Dr. Goyal provides his patients with outpatient hip and knee surgery. While this can vary from case to case, most patients are able to walk the same day as their surgery and even go home within hours. This is only possible through his exceptional technique and relentless attention to detail. His patients uniformly report an accelerated recovery period, less pain and more stability than patients of other orthopedic practitioners. It all goes toward providing you with the very best knee and hip replacement Washington, DC and Northern Virginia have available. With the National Museum of Civil War Medicine and the National Museum of Health and Medicine (NMHM) both a stone's throw from the area, Washington DC has a rich, vibrant history of caring for the nation's ill and wounded. Washington DC is also only an hour away from one of the nation’s most prestigious hospitals, Johns Hopkins. Architecturally, Washington DC is unique. It was originally designed in the late 1700’s by Pierre Charles L’Enfant, a French visionary from Paris appointed by George Washington. He made plans for a beautiful, modern metropolis, featuring wide avenues named after the states, as well as spaces for national monuments of honor. The Capitol building would be at the city’s center, with a grid extending outward from that point. Today DC has undergone many changes, but remains a culturally diverse, thriving mecca for professionals, artists and business owners. It draws residents from all over the globe, and is known for being inclusive of minorities. As Dr. Goyal has many patients that fly in from all over the country, many of them are visiting Washington DC for the first time. As such, many patients visit the district’s lighter, more entertaining side, for, DC is home to a variety of talents. Celebrities such as Kevin Durant, Marvin Gaye, Samuel L. Jackson, Duke Ellington, Justin Theroux, Louis CK, Stephen Colbert, Dave Chappelle and Katherine Heigl all hail from the capital. Establishments such as DC Improv, the Laugh Index Theater, and U Street Music Hall create a lively atmosphere and enjoyment for the whole family. With a little extra time in the capital one can enjoy some the country’s finest sightseeing opportunities, including the White House, the Lincoln Memorial, a 19-foot marble statue of the United States’ 16th leader; the 555-ft tall Washington Monument; the domed Jefferson Memorial; the International Spy Museum’s exhibits of espionage; and the stunning Washington National Cathedral. While DC is a huge urban nexus, it also has some lovely sanctuaries in which to bask in nature’s bounty. Rock Creek Park, the National Arboretum and the National Zoological Park offer a chance to relax and breathe in the sunshine and fresh air. With all of these things considered, Dr. Goyal's goal for his local and national patients is to provide a smooth, efficient, safe, and effective procedure. This goal being the foundation of Dr. Goyal's treatments, it is no wonder why he is considered to be a toporthopedic surgeon Washington D.C. has to offer.